The second month of the challenge has some interesting new entrants, including a high-end commercial prototype from a European game company and an abstract party game with elements from a pre-existing thousand-year game. 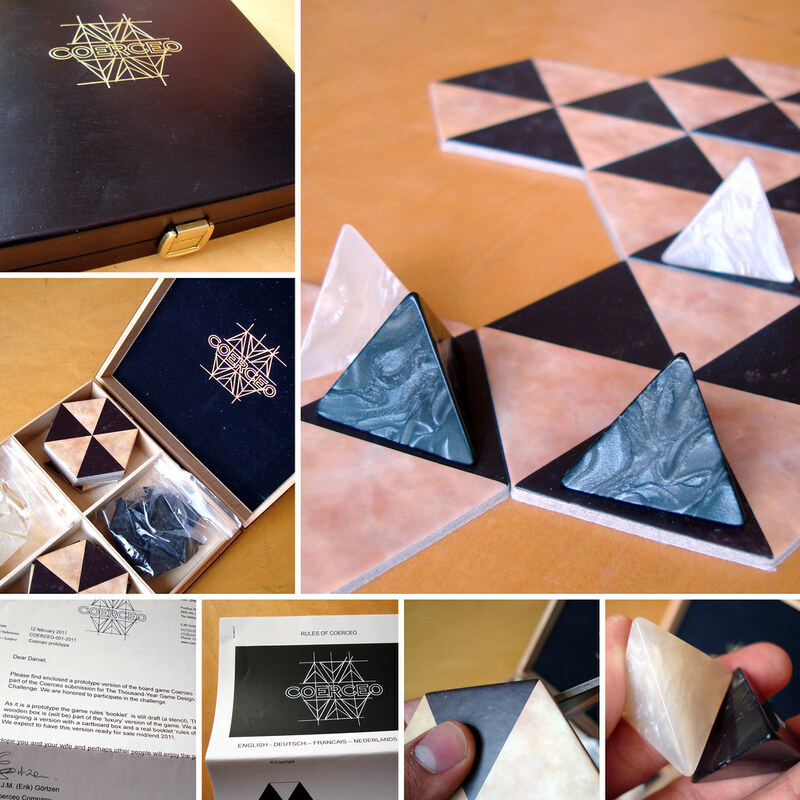 The Coerceo Company sent us a lush luxury prototype of their abstract 2-player game. You can see close-ups of the individual bits by clicking the image on the right. We're concerned about the sustainability of wooden boxes, cardboard tiles and plastic pyramids, but the Coerceo Company pledges to donate any winnings to charity. That's a plus in our book. Now this is an interesting hybrid. Take the physical elements of an existing thousand-year-old game and use them in a highly social party game and social experiment. Throw in an ancient mythic theme and you have Pandora's Box.